Sometimes a new product is launched, that is so clever yet so simple that we think, “why hasn’t that been done before?” Uvamed’s Rainbow TraysTM are exactly that. 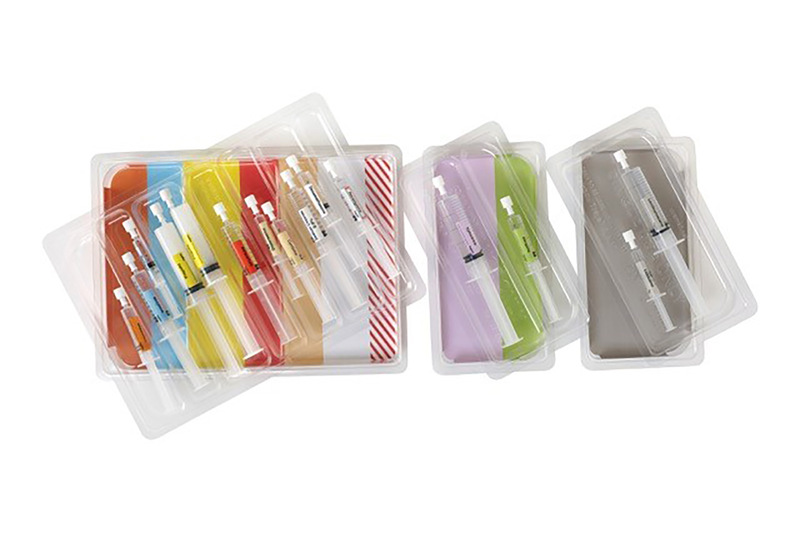 Rainbow TraysTM are colour-coded anaesthetic syringe trays for use in operating theatres for safe transportation, delivery and administration of anaesthetic drugs. 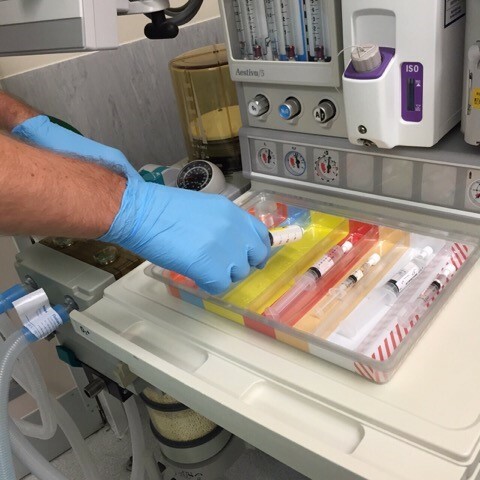 The trays provide a secure, clean and systematic carrier for drawn up syringes to support the anaesthetist and reduce avoidable misadministration of drugs whilst tackling the issues of infection control to deliver best practice for clinical governance. Healthcare Arena caught up with Bev Fawdington to find out about the concept and development of these innovative devices, she began: “This was an idea that originated from anaesthetists and a hospital pharmacist who were looking at ways to reduce the misadministration of anaesthetic drugs, for example choosing the wrong drugs from the tray with potentially disastrous consequences”. Anaesthetists need to administer routine and emergency drugs in stressful environments and this can lead to mistakes. The Rainbow TraysTM were developed to avoid such lapses and address the very real issues experienced by anaesthetists. Rainbow TraysTM support the Association of Anaesthetists of Great Britain and Ireland (AAGBI) and The Royal College of Anaesthetists (RCoA) colour coded labelling system to reinforce the visual recognition of the required drug and provide for effective infection control by way of a single-use disposable inner tray. Specific trays for local and emergency anaesthetics can be drawn, stored and stacked separately to prevent inadvertent use. With regard to the concept, this innovative product is at risk of duplication so Uvamed has gone to great lengths to protect its design and creation with a robust IP platform of patents and trademarks in the UK, Europe, USA, Canada, China & Australia. Rainbow Trays™ comprehensively address the patient safety and efficiency issues recently raised by NHS England. Pending the results of the current trials, we hope to see Rainbow Trays continue to support patient safety nationally and internationally. UVAMED: Uvamed Limited is a British company dedicated to delivering healthcare innovations specifically driven by a need to improve standards, working conditions and patient safety. Our criterion is to address clinical needs and concerns and, through innovation, create products that healthcare professionals actually want and need. Rainbow Trays will be marketed in the UK by Pentland Medical Ltd in Scotland, Northern Ireland and the North of England and by Qualitech in the rest of the UK.